Out with the old, in with the new! 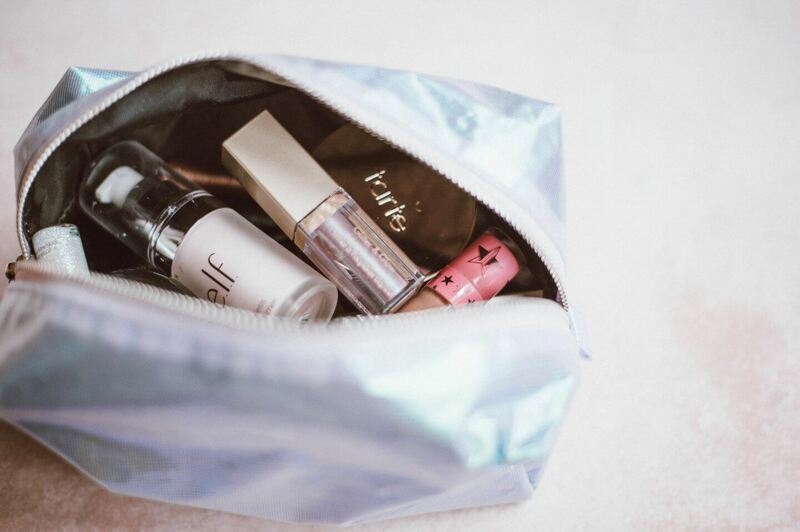 Spring is the perfect time to clean your makeup bag and put a fresh face forward. These five easy steps to spring clean your makeup will have you breezing beautifully into the new season in no time! 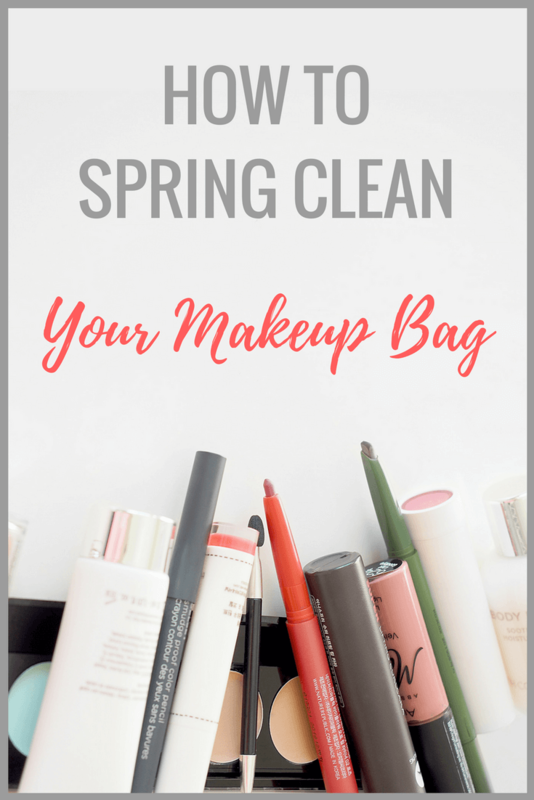 As is the case with all spring cleaning, reorganizing and cleaning out your makeup bag will help you declutter and make space for new things. Ridding yourself of things you no longer use always feels great and that applies to your makeup collection too! Let’s get started. 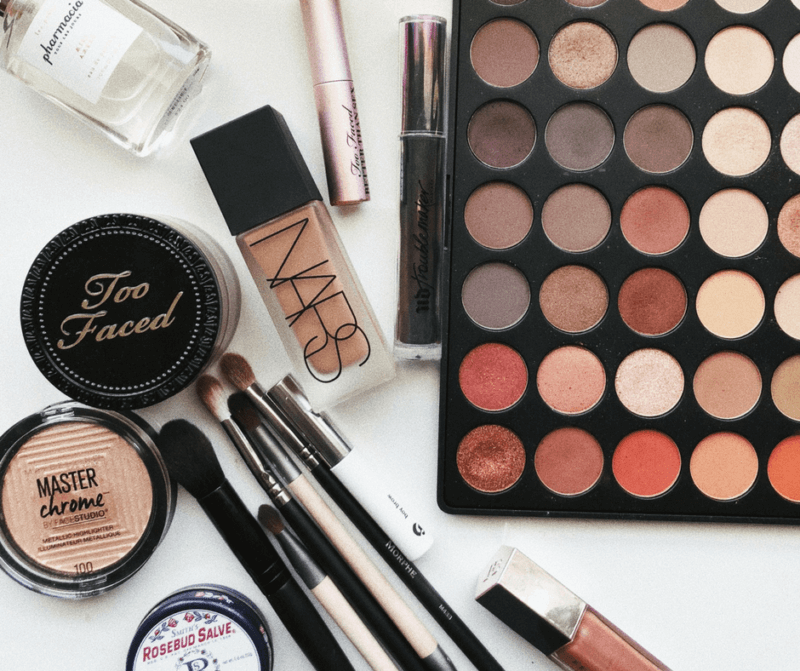 The main reason clutter accumulates is because we sometimes forget what we already own and continually buy new beauty items, often duplicates. Before you run out to pick up the season’s hottest lipstick, sort all the items in your everyday makeup bag to see what you already own. Pull everything out of the bag and sort like with like. If you already have 15 everyday lipsticks, you may not need to shop for a new shade this season. 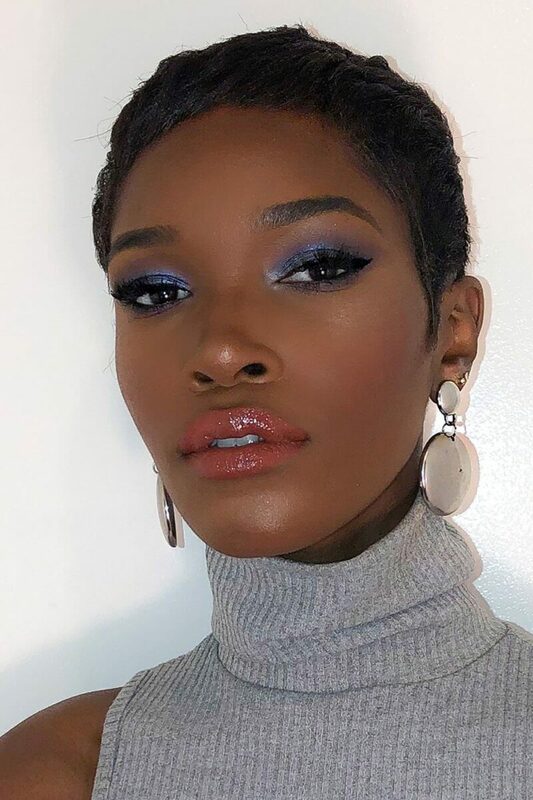 Electric blue eyeshadow is super hot for spring, but before you buy this gorgeous shade by Urban Decay, check to see if you have something similar. If you don’t have any blue at all in your kit, run right out and get that Urban Decay shade or this cobalt blue from Anastasia Beverly Hills. It’s gorgeous and it’s only $12! Another reason for a perpetually cluttered makeup bag is holding on to expired products. Yes, beauty products expire. Some much faster than others. Products with the shortest shelf life include mascara, liquid liners and liquid lipsticks. Many products have the expiration ‘date’ stamped on the package. In truth, it’s not an actual date, it’s a guideline for how long the product will last (in months) from the date you first open it. Personally, I do a smell test on beauty products to see if they’re still good. My nose never lies. You can also see if there are any changes in color or consistency as those are sure signs of expiry. The easiest way to spring clean makeup is to remove off-season products. That metallic gold eyeshadow that looks so good during the holiday season can probably take a break during the warmer months of the year. The same is likely true for heavy or dark lipsticks and full-coverage foundation. Note I said likely in regard to the lipstick because sometimes spring trends include the unexpected oxblood lippy. I love it when that happens. Store your off-season favorites in your makeup overflow bins so you’ll have only what you’ll currently use at your fingertips. This makes get ready in the morning much faster. Go here for a video on how I organize and store my makeup. Look to your favorite beauty bloggers for spring makeup inspiration to see what tickles your fancy. Your favorite YouTubers and Instagrammers are also a good resource for what’s hot for the season. Honestly, I don’t know what we did before the rise of online beauty gurus. Oh! I remember. We relied on cosmetics counter girls. What a quaint world we once had. Now that we’ve cleaned out our makeup bag for spring, we’re ready to add a few new items. What’s hot for spring this year? In addition to bold, metallic blue eyeshadow, spring beauty trends include rose gold highlighter, inky lips and art-deco eyeliner. Pick a couple of trends and go crazy! Shop the widget below for my beauty picks for spring. Stay saucy, my lovely! OY!!! Thanks for the reminder. I’m sure I have some WAY EXPIRED stuff. I don’t wear makeup often, so I like to tell myself it’s OK to keep it beyond it’s date. Quiet as it’s kept, I have some ‘expired’ items in my kit as well. They cost a lot of money and I just can’t see myself tossing them. LOL! I need to do this over the weekend. I know I’ve got some expired make-up that I need to trash. Thanks for the tips! Oh, I really need to do this and your tips are really great. I haven’t done a good clean out of my makeup in way too long. I just went through my entire house two weeks ago, including every closet, cabinet, and drawer, and this included my makeup! I found a few things that were expired, and also was able to condense all of my extras into one basket so I know what I have when I start to get low without searching my entire bathroom closet! You are doing this perfectly! Bravo! I really need to do this — get rid of the clutter and the expired. Such a great reminder that we need to spring clean our makeup case too! I always forget about that! Thank you for the great reminder and tips. I am guilty of keeping expired make-up products. I think its a waste to throw them.